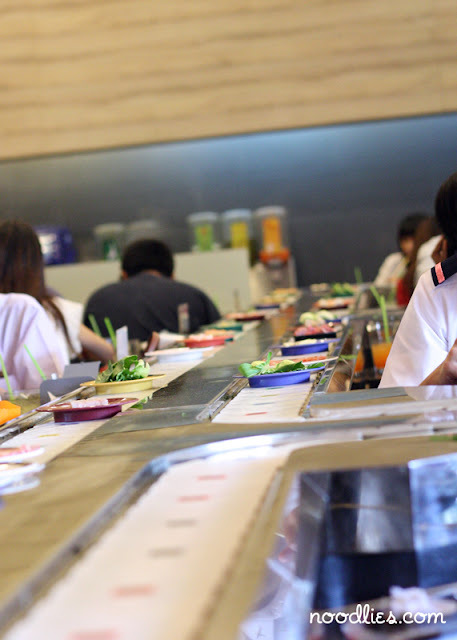 Watch Thai tv and before long you’ll hear the cute “shabu shi” squeal of this buffet chain’s advertising. The squealing must be working because customers are lining up for over an hour for the experience. 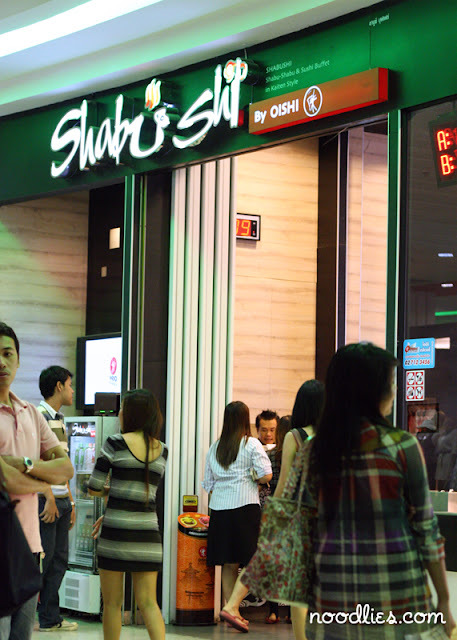 Shabu Shi is owned by the Oishi group that is best known in Australia and 7-eleven’s in Thailand for their very popular ice tea drink. 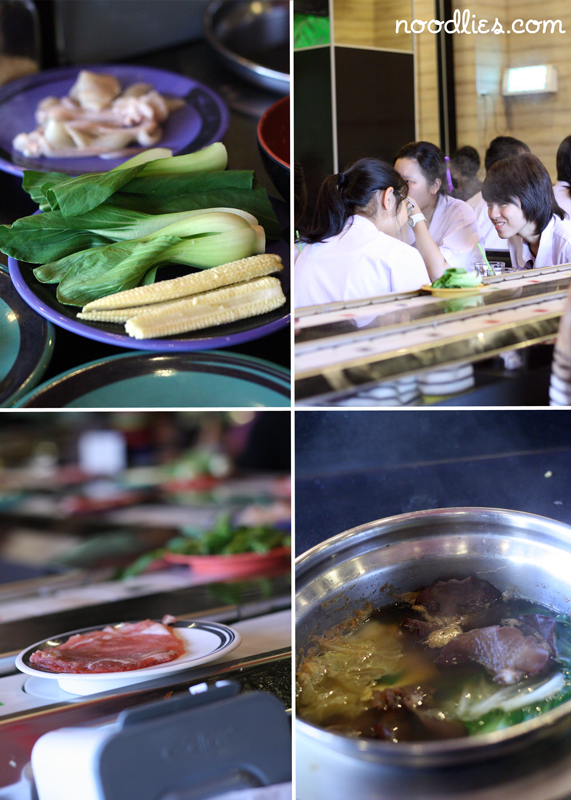 This buffet combines so many concepts, all you can eat, sushi train, except this train takes around raw ingredients to put into your hot pot (shabu), sushi, all you can drink oishi and all you can eat oishi ice cream. And yes, you can hear the squeals of delight from the lunch time punters, many of whom were school children, at the prospect of so much all you can eat and drink. The quality of the food is neither here or there, but it’s certainly not bad either. I appreciated the bottomless glass of oishi drink, well actually, I love it. The amazing this is that the cost is 290 baht per person or around A$10… truly astounding value, with a two hour limit on each visit.